The leukemia medicine Gleevec that is manufactured by Novartis now has a competitor. A generic variant of the medicine has been introduced by Sun Pharma on February 1, 2016, in the United States. Sun Pharma is likely to price the generic version around 30% less than the price of Gleevc, expecting to take over one-third market within the coming six-month period, according to Kal Sundaram, the Chief Executive Officer of Sun In North America. New Delhi: The US Federal Trade Commission (FTC) has completed its review of the proposed USD 4 billion acquisition of Ranbaxy Laboratories by Sun Pharma and granted early termination of the waiting period under the Hart-Scott-Rodino Antitrust Improvements Act. "The US Federal Trade Commission (FTC) has completed its review of the proposed acquisition of Ranbaxy by Sun Pharma and has granted early termination of the waiting period under the Hart-Scott-Rodino Antitrust Improvements Act of 1976 (HSR Act)," Sun Pharmaceutical Industries and Ranbaxy Laboratories said in a joint statement. New Delhi: The market valuation of top-five Indian companies fell by Rs 42,519.88 crore last week, with IT major TCS taking the biggest hit. While TCS, ITC, CIL, HDFC Bank and Sun Pharma saw losses in their valuation, ONGC, RIL, Infosys, SBI and ICICI Bank made gains. 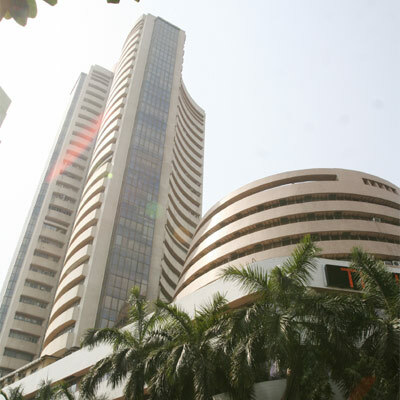 The market capitalisation (m-cap) of TCS plunged by Rs 18,911.52 crore to Rs 5,24,772.61 crore. ITC's m-cap tanked by Rs 8,691.94 crore to Rs 2,81,610.82 crore, while Sun Pharma lost Rs 8,626.15 crore to Rs 1,69,582 crore. 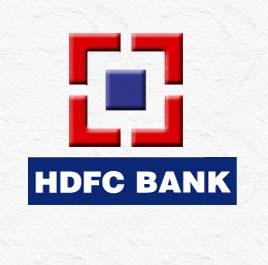 The valuation of CIL fell by Rs 6,000.55 crore to Rs 2,11,313.97 crore and HDFC Bank lost Rs 289.72 crore to Rs 2,09,309.66 crore. Hyderabad: Caraco Pharmaceutical Laboratories , a unit of Sun Pharma, has initiated a recall of multiple lots of Cephalexin capsules from the US market. According to a notification by the USFDA, the recall of the 3,40,553 units of 500 mg and 1,13,677 units of 250 mg bottles is voluntarily initiated by the company through a letter to the regulator in June under ?Class-II? classification. Cephalexin is an antibiotic that belongs to the family of medications known as cephalosporins. It is used to treat certain types of bacterial infections. 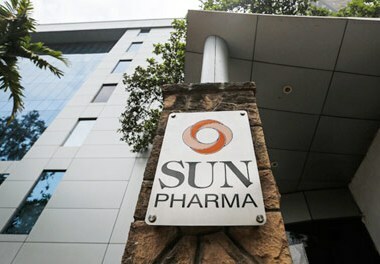 New Delhi : Sun Pharma Tuesday posted a consolidated net profit of Rs 1,390.51 crore for the first quarter ended June 30. The company had posted a net loss of Rs 1,276.10 crore for the same period of previous fiscal. Net sales of the company rose to Rs 3,926.85 crore for the first quarter, as compared to Rs 3,482.18 crore in the same period of previous fiscal, Sun Pharmaceutical Industries Ltd said in statement. Hyderabad - Caraco Pharmaceutical Laboratories, a subsidiary of Sun Pharma, has initiated recall of some lots of Venlafaxine Hydrochloride extended-release tablets from the US market. According to a notification by the FDA, the recall of 26,530 units of 30-count bottles and 14,597 units of 90-count bottles is voluntarily initiated by the company through a letter to the regulator last month under 'Class-II' classification. Venlafaxine Hydrochloride extended-release tablets are indicated for the treatment of major depressive disorder. Shares of Indian pharmaceuticals giant Sun Pharma gained as much as 9 per cent in early trade on Monday, even though the company suffered a hefty loss during the April-June quarter. Sun Pharma late last week reported a net loss of Rs 1,276.1 crore for the three months ended June 30, 2013, as against a net profit of Rs 795.5 crore in the corresponding period of last year. A hefty exceptional charge from the Protonix litigation forced Sun Pharmaceutical Industries Ltd to post a net loss of Rs 1,276.1 crore for the April to June quarter of current financial year. Sun Pharma, India's leading pharmaceutical group by market capitalization, is reportedly pursuing talks to acquire Swedish drug-maker Meda AB. Citing anonymous sources, the Wall Street Journal (WSJ) also reported on Friday that Mumbai-based generic drug-maker Sun Pharma was in talks with lenders to finance the deal. The Journal also reported that Meda, one of the Sweden's largest pharmaceutical firms, could be worth in the range of $4.5 billion to $5 billion. Sun Pharma Advanced Research Company (SPARC) has recorded a net profit of Rs. 44 crore during the fourth quarter from January to March, 2013 mainly due to a strong growth in operational income. The company has said that the company a loss of Rs. 21.6 crore in the previous year. The company has said that its income from operations rose to Rs. 72 crore during the quarter compared to Rs. 4.22 crore during the same quarter of the previous year. The company’s TTM EPS was recorded at Rs -0.41 per share as of March, 2013. Mumbai-based Sun Pharmaceuticals and Israel's Taro on Friday announced a mutual accord to terminate their merger agreement which was announced in August last year. Sun, which already owns 66.3 per cent stake in Taro, had agreed to acquire full control of its Israeli drug unit by purchasing the remaining shares for $39.50 apiece. But in a joint statement yesterday, the two companies announced that they had termination of the merger agreement, adding that the termination would be in the best interests of both parties.